Small in size, PowerFlo II will win you over with its Made in Hayward manufacture and its exceptional performance. 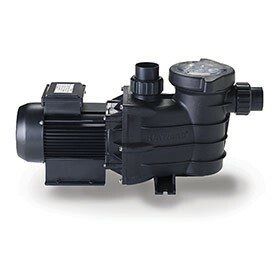 It is a versatile, self-priming pump designed to meet the varying specifications of above-ground and in-ground swimming pools and solar heating applications.This unit incorporates features usually found only on higher priced in-ground pumps such as self-priming ability, a large 1.1 Litre strainer basket, a heavy duty motor with stainless steel shaft, and a quick-release “see-thru” strainer cover. Durable and economical, the Power-Flo II continues to set the standard for value and performance for above-ground pumps.